Microsoft envisions a world where passionate innovators come to collaborate, envisioning what can be and taking their careers places they simply couldn’t take them anywhere else. This is a world of more possibility, more innovation, more openness, and sky’s the limit thinking – a cloud-enabled world. Our mission is to empower every person and every organization on the planet to achieve more. This mission is ambitious and at the core of what our customers and employees care deeply about. We have unique capability to harmonize the needs of both individuals and organizations. We care deeply about taking our ideals and vision global and making a difference in lives and organizations in all corners of the planet. We are insatiably curious and always learning. We lean into uncertainty, take risks, and learn quickly from our mistakes. We build on each other’s ideas, because we are better together. We stand in awe of what humans dare to achieve and are motivated every day to empower others to do more and achieve more through our technology and innovation. Together we make a difference. Take the opportunity to help reinvent productivity as an Account Technology Strategist. The Account Technology Strategist is a virtual Chief Technology Officer for our customers and engages with customer business and IT decision makers to articulate how Microsoft can enable them to achieve their IT and business goals. • Building Trusted Relationships with customer Decision Makers, including their Chief Technology and Information Officers, and decision makers within the customer’s business units. • Sharing your broad knowledge of the Microsoft Platform, our competition, and the industry to create a vision of how Microsoft can be the customer’s best partner to take their business to new heights. • Gathering and sharing broad insights about customers and the IT Technology landscape with your Microsoft colleagues. • Demonstrating technical leadership by working with your team and Microsoft resources to leverage Microsoft Cloud Technologies to drive Customer Success. 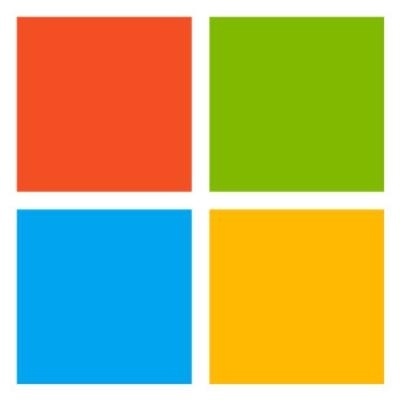 • Promote the long-term growth of Microsoft through the adoption and sustained usage of our cloud solutions by customers. • Broad knowledge of the Microsoft Enterprise Platform and ability to map relevant Microsoft Technologies to the customers’ IT and Business needs and priorities. • Ability to build long-term Trusted Technology Relationships that result in solid and meaningful Strategic Technology conversations. • In-depth knowledge of customers’ Technology environments. • Ability to ensure that customers benefit from the latest Microsoft Innovations and Solutions. • Focus on long-term, sustainable Growth. Experiences Required: Education, Key Experiences, Skills and Knowledge:. · Sales Experience is required. · Experience in Consultative Selling is highly desired. · Extensive experience in working within teams is required. Certification in sales, sales management, complex sales training, sales methodologies, presentation skills, and consultative selling preferred. Additional training or education in Business, Sales or Marketing preferred. Certification in Microsoft or relevant cloud, data center, or mobility technologies recommended.